Maintaining Salomon’s X-Alp series theme, the X-Alp Carbon Boot is built for moving fast in technical terrain. This demands a lot from a ski boot, which the X-Alp Carbon proudly delivers. While the suspiciously similar Procline is geared more towards climbing, the X-Alp streamlined the design and stiffened the flex for skiing. Salomon dropped the rubber toe cap and the sole has also been redesigned for better on-snow performance and lower weight. They also added reinforcement ribs to the lower shell to improve the flex characteristics. The X-Alp includes a zipperless gaiter that extends to just below the boot top to keep snow out and improve walking dexterity. Dropping weight in the sole, toe cap, and gaiter allowed Salomon to add a bit of external reinforcement in key areas to stiffen up the boot in ski mode while weighing even less than the Procline. The carbon cuff is tall for good responsiveness and is split vertically down the middle, enabling 35° of lateral articulation. This results in an unmatched level of freedom on the way up. After locking it into ski mode, the X-Alp turns into a precise boot on the way down. If you’re more into the skiing than climbing, or just like blue more than orange, the Salmon X-Alp is the boot for you. 75° of fore/aft articulation is combined with an unmatched 35° of lateral articulation. External ribbing increases lower shell stiffness. Zipperless gaiter provides maximum coverage from the elements at a minimal weight. Cam-lock power strap increases effective cuff height and leverage. Redesigned liner is optimized for fit, ski performance, and breathability. I've been quite disappointed with these boots, I had high hopes that they would climb well, and ski stiffly, this was not the case. In terms of forward stiffness, the lower buckling outwards is the source of softness, as is the case in many touring boots. This is usually addressed by the lower buckle, however in the x alps the buckle does not do a good job of retaining the lower boot, perhaps Salomon concentrated grilamid in the wrong places? Similarly affecting skiablility is the lack of heel hold, this possibly can be attributed to Salomon designing the boot for a differing foot shape from my own, but I have heard this is a complaint many others have as well. Concerning tourability, and climbing: For its stiffness this is not an especially lightweight boot, weighing in at an average 1200 g. I was initially excited about the the lateral movement talked about in both the X-alp and Arcteryx boot, hopeful that perhaps the boot could climb ice well and make skinning much more pleasant, however the lateral cuff rotation is hardly noticeable (similar to the lateral give in other boots without this feature). To enter walk mode the rearward paddle opens, and to enter ski mode again the paddle is forced back onto the boot again, this is something that is quite annoying when boot packing. The space between the open paddle and the boot quickly packs with snow which consolidates to ice and makes switching back to ski mode near impossible. 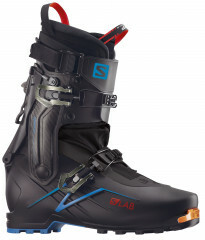 The S-lab X-alp simply cannot compete with other touring boots in its price range. Funny you mention the heel issue. I literally felt like I was going to pull the liner out of the shell when skiing aggressively down some punchy snow in my Proclines (same boot, basically). Very unnerving. It got better with a bigger Pro Tour liner, however. Has anyone with experience with these boots run into trouble sidehilling along icy slopes? With other boots I believe you rely upon lateral rigidity to keep the ski edge contacting the ice, whereas with these boots the ski may "slump" to the skin and lose all metal edge contact with the ice. Hi Peter, thanks for asking. In my experience the lateral movement of the boot is enough to offer some comfort but not dramatic enough to lose edge hold. On numerous spring days, I had no issues at all with icy side hill performance. What are the chances of getting some aftermarket power straps that come stock on these? I was able to score a pair of still-in-the-box TLT 6s so I'll be living in the past for the next couple of seasons. However, I never liked the Velcro power strap as it clings to the inside of my pant cuff. Arcteryx and now Salomon have done the deal better. I'll retrofit my 6s if I can get a pair. I tried some Booster straps but they're heavy and stretchy. Not what I want. Hey Brian, I saw Nate already set up and order for some power straps for you, but for velcro-less adjustment try the Dynafit TLT7 straps. Hey guys, I'm still trying to replace my TLT5 size 28.5. I love the fit those boots because they are narrow but long. Everything else I've tried (including some Alien RS 28 and 29 I ordered from you and returned). Just too wide in the heel. TLT7 is way too wide throughout and too soft. 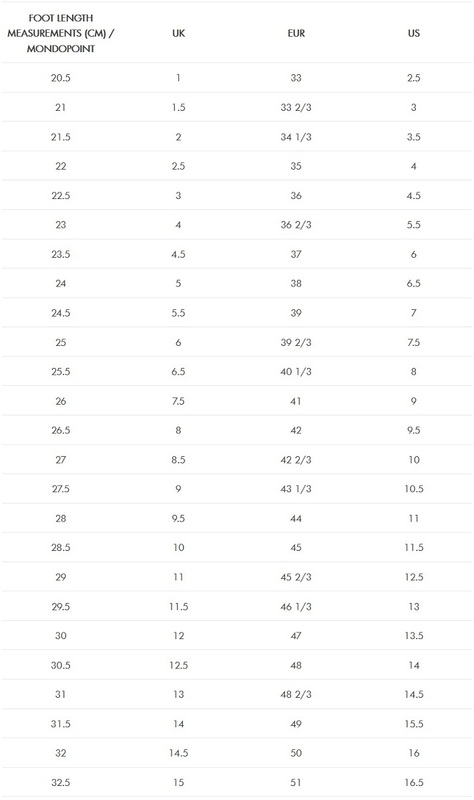 Backland seems ok but 27.5 too short, 28.5 ok but also seems a bit wide in heel. I'm curious about the Alp-x. Salomon MTN fits quite well, size 27.5. I suspect Alp-x would too, given narrower heel you mention in your write-up. Based on my experience, what do you think? Should I try em. Size 27.5? Hi Erics, the X-Alps have the most "TLT5-like" fit around. It would be tough to squeeze into the 27.5, however, as it doesn't run long like the MTNs. You'd do better in the 28.5. The other option for you is the SCARPA F1 28.0 which has a good heel pocket. Thanks very for this update. I got a chance to try these locally. The 28.5 fits almost exactly like the 28.5 TLT5. It's a fabulous boot for those of us with narrow feet. A deal breaker for me though: the lower buckle is really badly positioned, and opens very easily when banged into. This is going to be an issue for walking in rocky terrain, or on crusty snow when bootpacking. I think I'll wait for the next iteration where hopefully the place the buckle more like on the Procline. Meanwhile, I managed to snag an remaindered pair of TLT6s in my size. I was lucky -- now I don't have to get any shift plates for my race skis. I had actual a 27,5 Atomic Backland Carbon light. Do you think that also the 27,5 Salomon X-Alp will fit. Hey Roli, thanks for reaching out. I think that if the Backland Carbon Light fit you then there is potential for this boot to work, but only if you didn't have to do any substantial work to your Atomic boot. I would stick with the 27.5 though for sure. Will the Marker heel adapter work to get these boots into the Kingpin? Hey Scott, yup, should work just fine! Do you have any sense of the fur of these in comparison to the MTN lab boots. I'm currently in a mtn lab 26.5 but it's snug and I'm wondering if I'll have to go up a size to get enough length. Also would these work with a tecton binding? Hi Tom, We have not yet received this boot so I don't want to shoot in the dark based on the fit of other boots and possibly mislead you. Have you shell fit your MTN Lab boots? Depending on the shell fit of your MTN Lab boot, whether it's 1, 1.5, or 2 fingers behind the heel, I can help guide your fit with this boot a little better when we receive it. Hi Tom, now that we have these boots in stock and I've had a chance to familiarize myself with them a bit, I wanted to get back to you with an answer. The fit of these boots is very similar to the MTN Lab in shape. Low instep, relatively narrow. These boots have a much better heel pocket and much tighter ankle fit than the MTN Lab. My experience Fitting the MTN Lab shell, is that it runs a bit long. In your case with the 26.5 Lab feeling a little short, my suggestion would be to go with a 27.5 in the X-Alp Carbon.